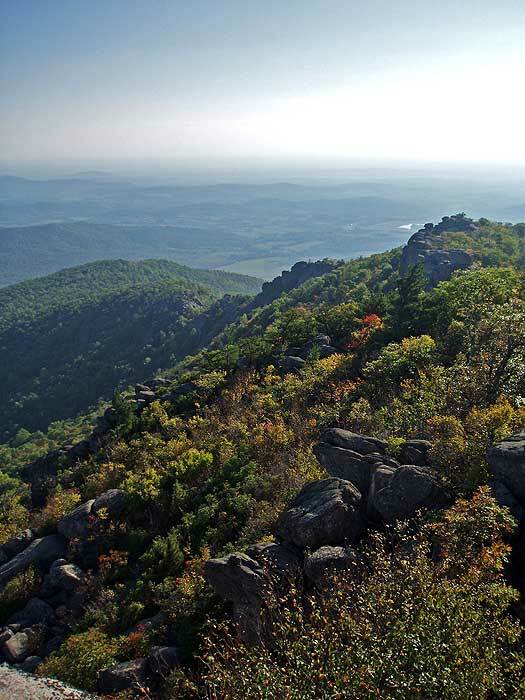 The Old Rag Mountain hike in the Shenandoah National Park is one of the most popular hikes in the mid-Atlantic region. 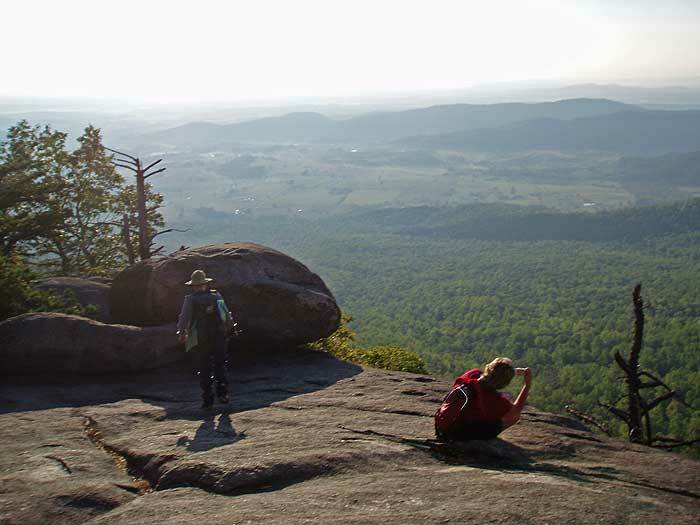 With many spectacular panoramic views, and one of the most challenging rock scrambles in the park, this circuit hike is a favorite of many hikers. But be prepared for the crowds. 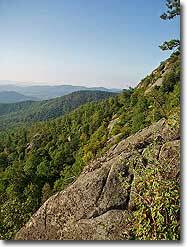 This hike gets a star rating for solitude, so the best time to enjoy Old Rag is during the week when there are significantly fewer people. 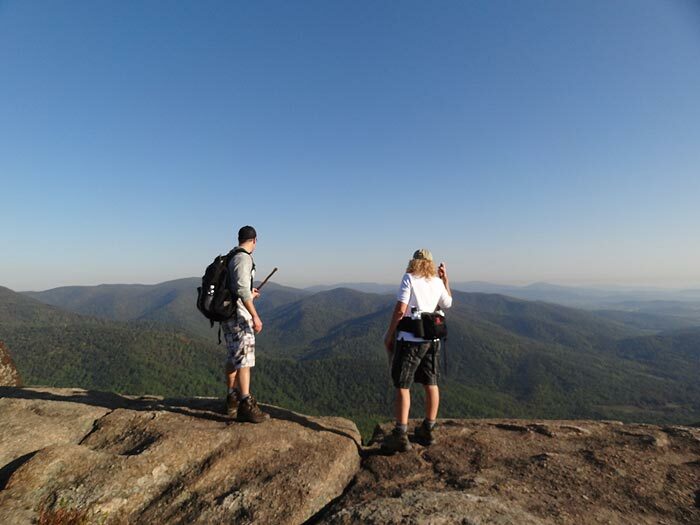 The circuit hike listed here follows the popular clockwise loop, however many hikers prefer to do this loop counterclockwise, thereby tackling the rock scramble at the Ridge Trail on the downhill. 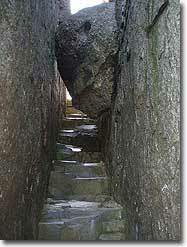 Either way, the rock scramble can be challenging, being both steep, and requiring climbing through cracks in the rock. 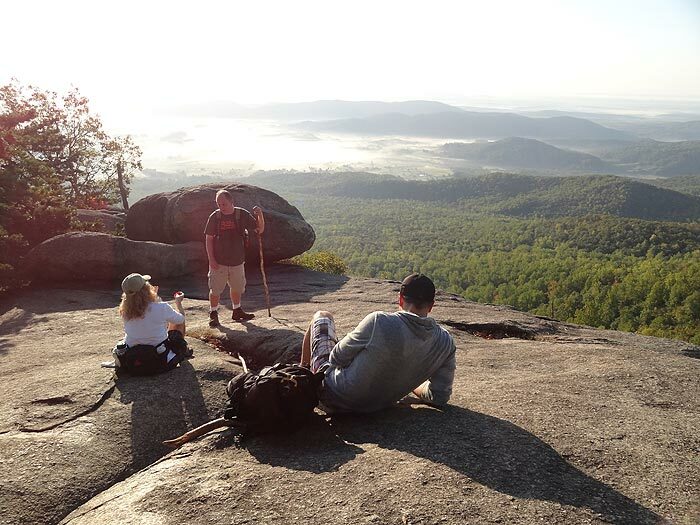 If hiking on a nice weekend, the best time to arrive is by 7 a.m. before the crowds. Mile 0.0 - From the Old Rag parking area walk 0.4 miles along paved Nethers Rd. at which point the road veers left. In another 0.4 miles Nethers Rd. ends at the closed Old Rag upper parking area. Mile 0.8 - Turn left uphill on the blue blazed Ridge Trail next to the closed gate. 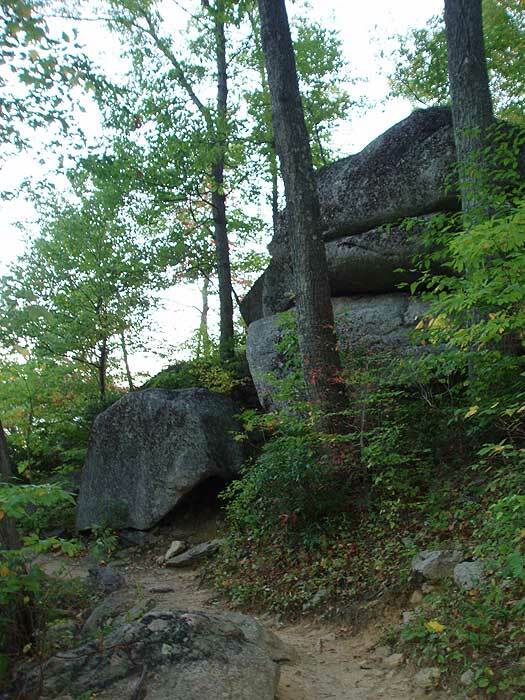 The trail will gradually increase in grade and make nine switch backs before reaching the first of many view points. 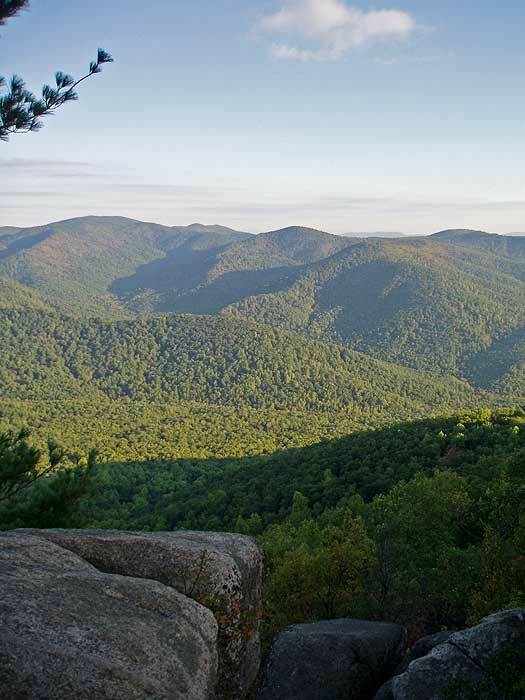 From this first vista to the west, the Ridge Trail will become more rocky then arrive at the main easterly vista on the ridge in another 0.2 miles. 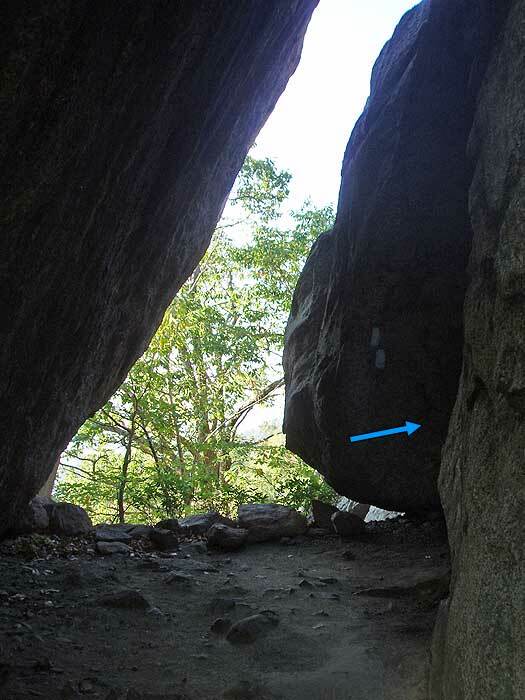 Mile 3.0 - From here the trail becomes a rock scramble with narrow passages and several spots requiring hand over hand climbing. From the easterly vista on the ridge start up the rock scramble, with the first obstacle a 12ft deep small crack in the rock. 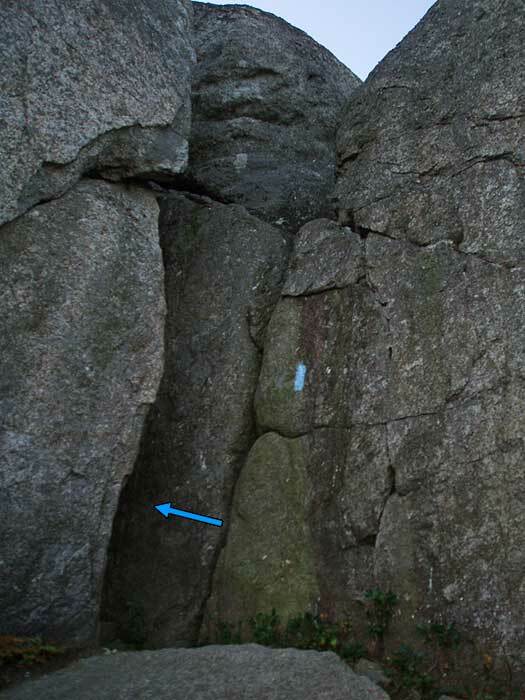 At the bottom of the crack continue out to the left. Follow the blue blazes passing around the easterly side of the ridge and through another crack where the trail meets a small cliff. From here, the trail will become increasingly steep going through a small cave, then arriving the minor summit where the trail turns left. 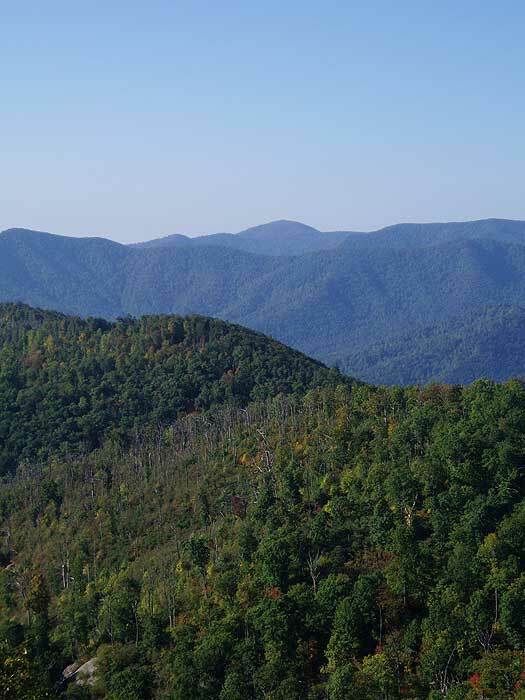 Be careful to follow the blue blazes, as there are several false trails that lead to overlooks. 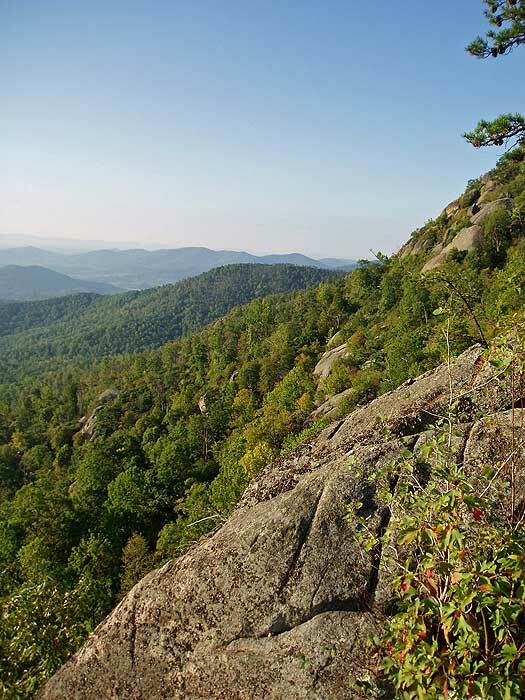 After passing around the minor northerly summit, the trail is less steep but still requires rock-hopping for most of the remaining 0.3 miles to the true summit where there are several points with 360° views. 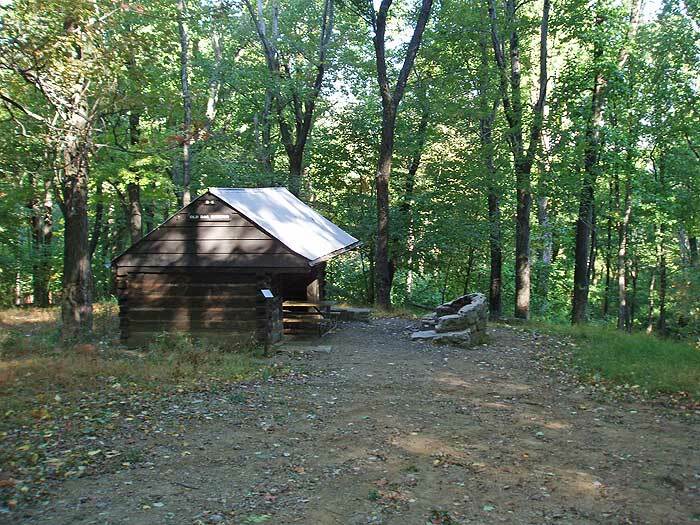 Mile 4.1 - Descend south along the Ridge Trail for 0.4 miles to the intersection of the Saddle Trail and Byrd's Nest Shelter. Mile 4.5 - Turn right descending on the blue blazed Saddle Trail. 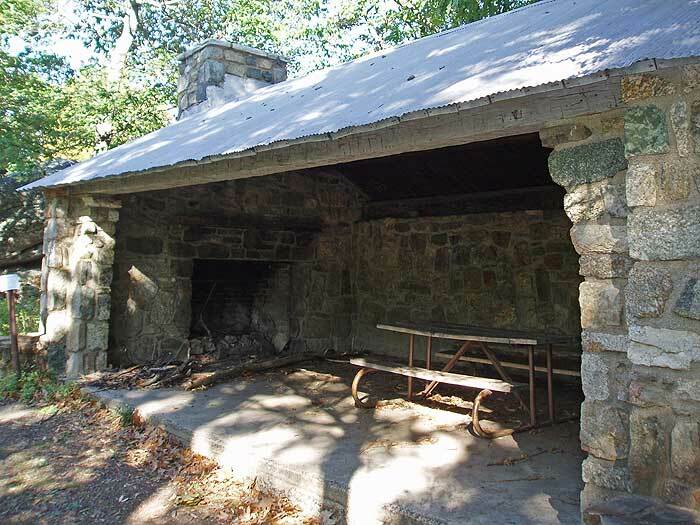 In 0.6 miles pass the Old Rag Shelter. Both shelters are available for day use only. 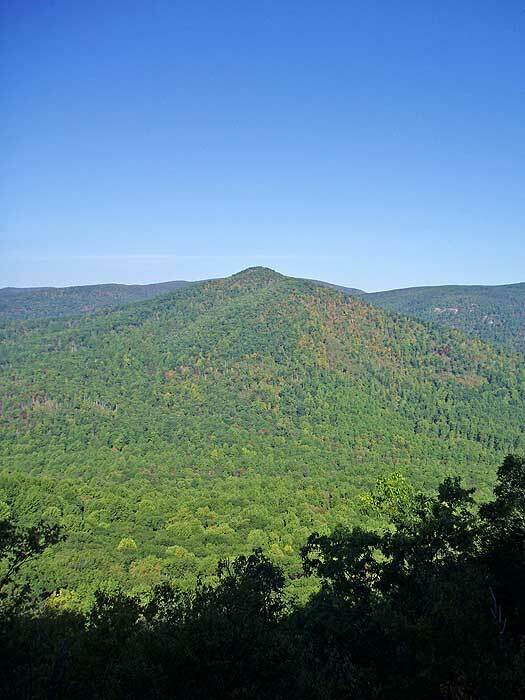 From the Old Rag Shelter the trail widens and follows a forestry road for the 0.4 miles to the intersection of the Berry Hollow Fire road (left), Old Rag Fire Road (straight), and Weakley Hollow Fire Road (right). 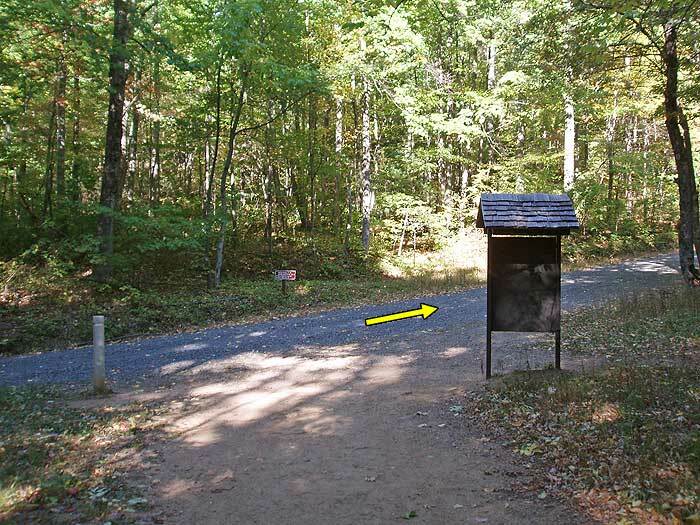 Mile 5.9 - Turn right downhill on the yellow blazed Weakley Hollow Fire Road. 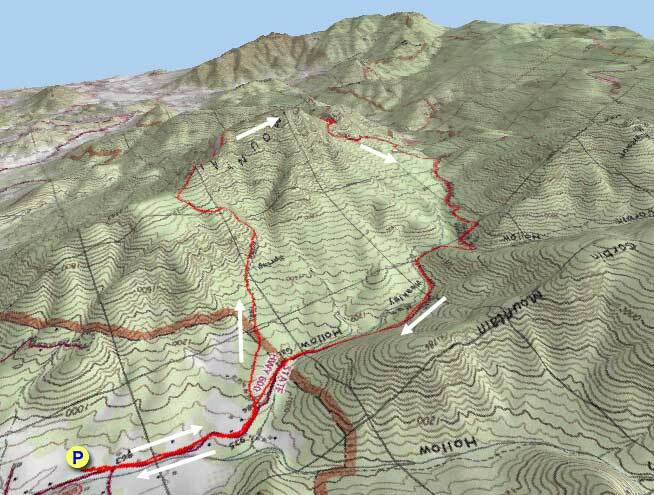 In 1.2 miles pass the Robertson Mountain Trail, then in another 200 yards the Corbin Hollow Trail. 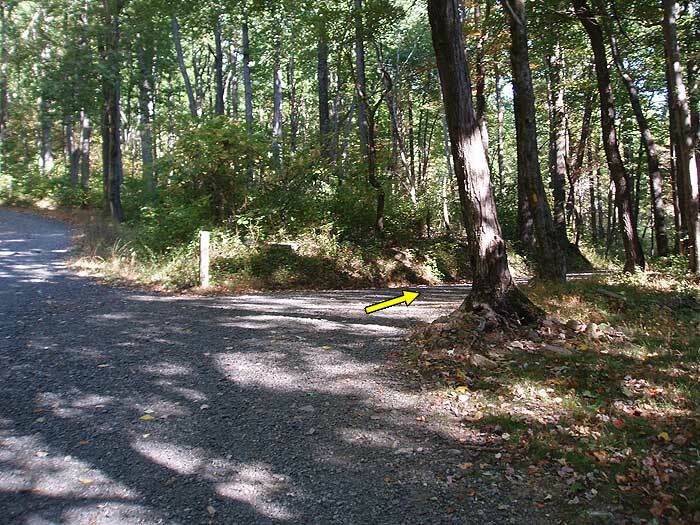 Continue along the Weakley Hollow Fire Road back to the upper parking area. 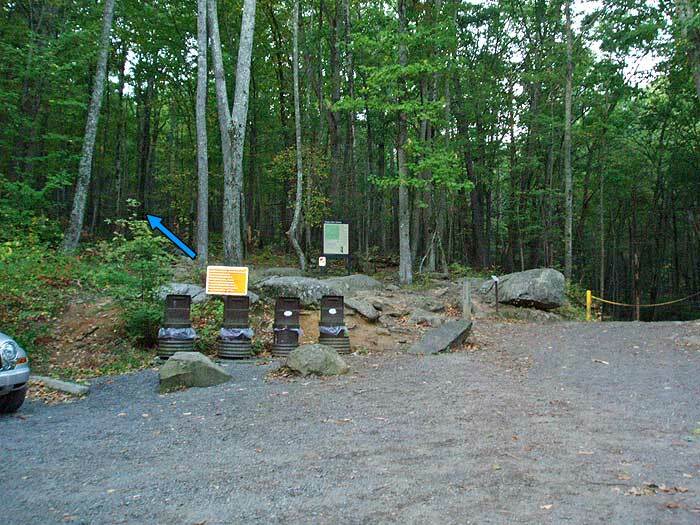 Mile 8.3 - Arrive at the closed upper parking area then continue down the paved Nethers Rd. for 0.8 miles back to the main parking area. Mile 9.1 - Arrive back at the main parking area on Nethers Rd. 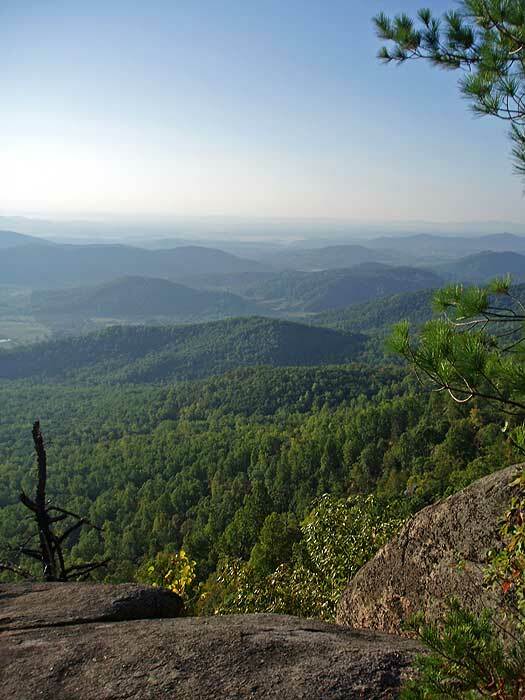 I've hiked Old Rag over a dozen times, and it never gets old. 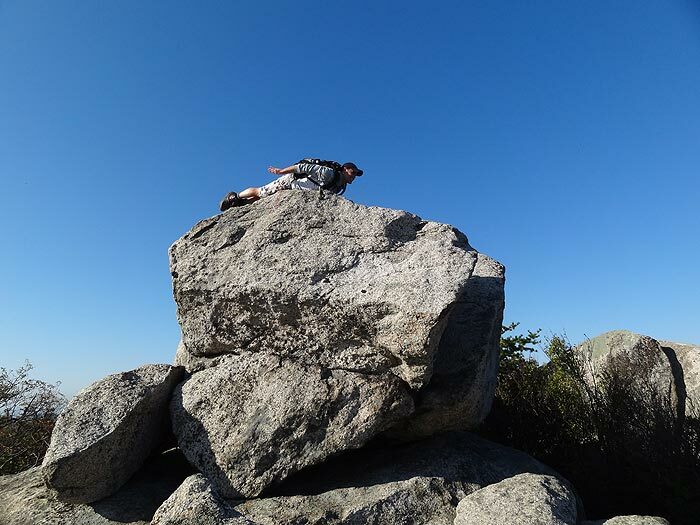 It's one of those hikes that truly rewards your effort - with great views, challenging rock scrambling, and a sense that you really did something challenging when you make it back to your car. 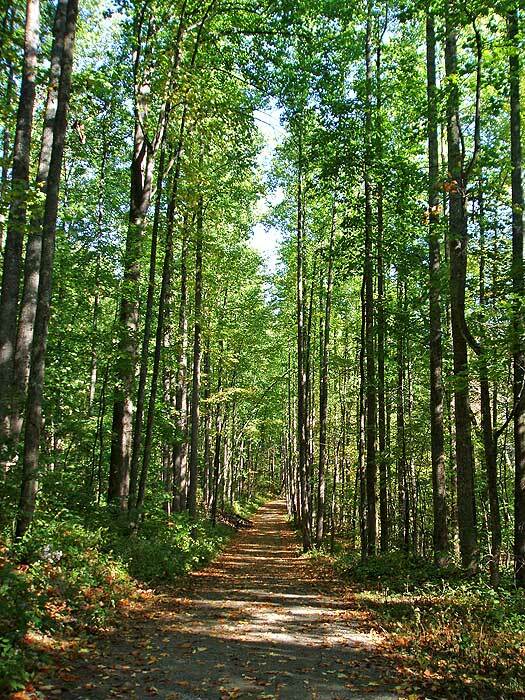 It's the one hike that anyone who visits the greater DC area must do. As others have noted, the trail can get very crowded... so get there early and pack your patience. Stay away from weekends and holidays, and whenever you go, plan to be at the parking area no later than 8:00. 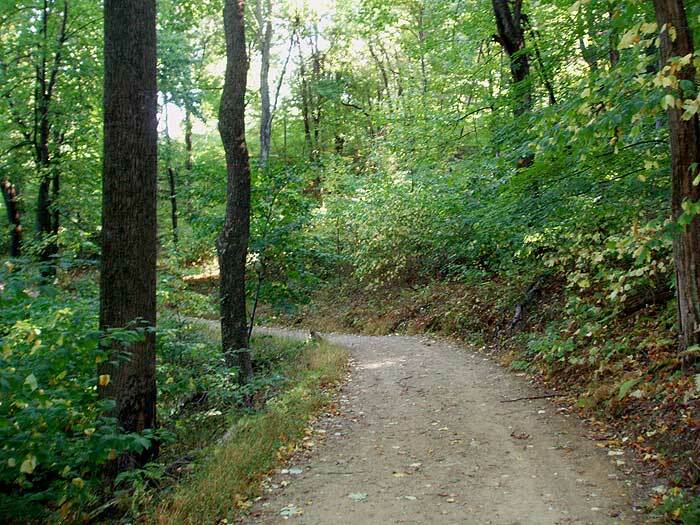 Since it's so crowded it's important to practice good trail etiquette. Don't follow too closely. Offer to let fast movers pass you. 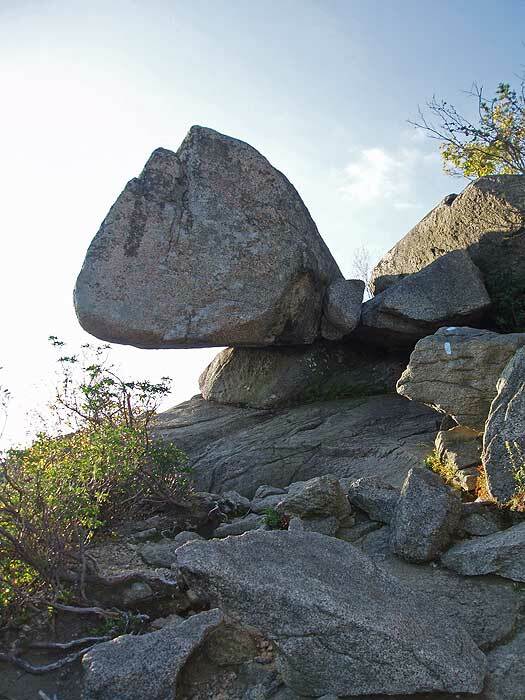 Give uphill hikers the right of way. Alternate uphill and downhill parties at the tighter bottlenecks, just like we do at a four-way stop. And don't act like you own the place... lower your volume, give others their space, and share the best photo spots. 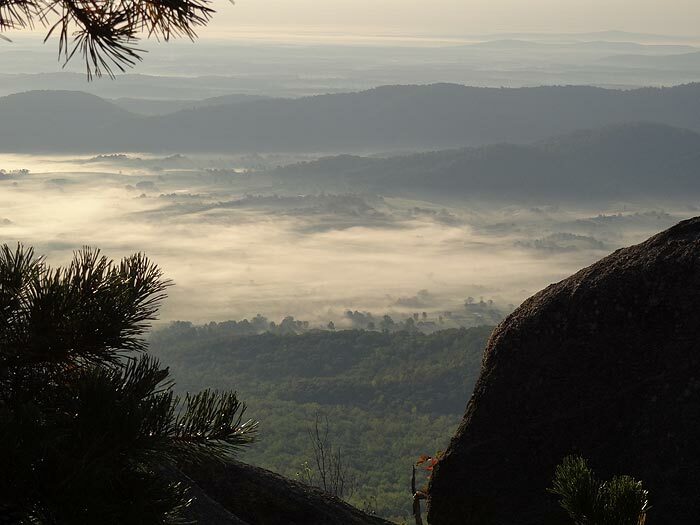 I've viewed many videos about Old Rag Mountain, and read even more blogs over the years. 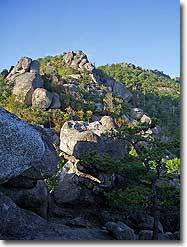 This hike has been on my list and at 60 years old I finally had an opportunity to hike Old Rag Mountain. I will tell you all the videos and blogs don't even come close to being there in person and conducting this amazing hike. I conducted this hike on Friday 07 Dec 2018, there was snow and ice on the trail from about 2-3 days ago which made it even more beautiful, and maybe even a little bit more difficult. 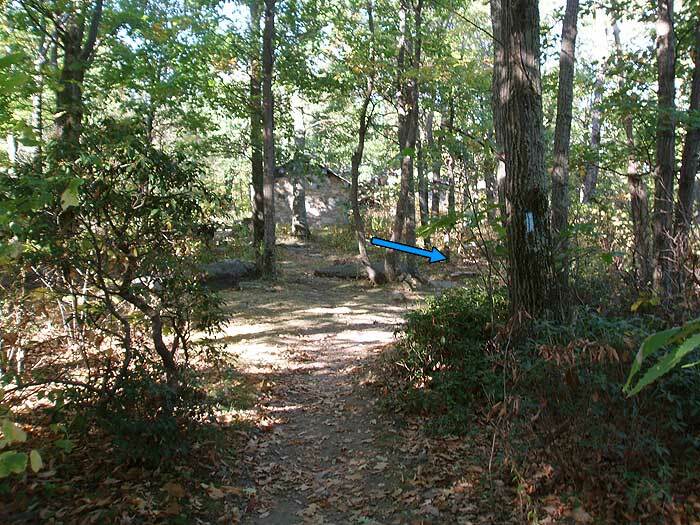 The trail marker or blazes (blue/greenisj in color @ times are hard to spot, it's not hard to find yourself stopping and looking for the next marker, go slow and be careful. There were only about 5 other hikers that I saw during the day. 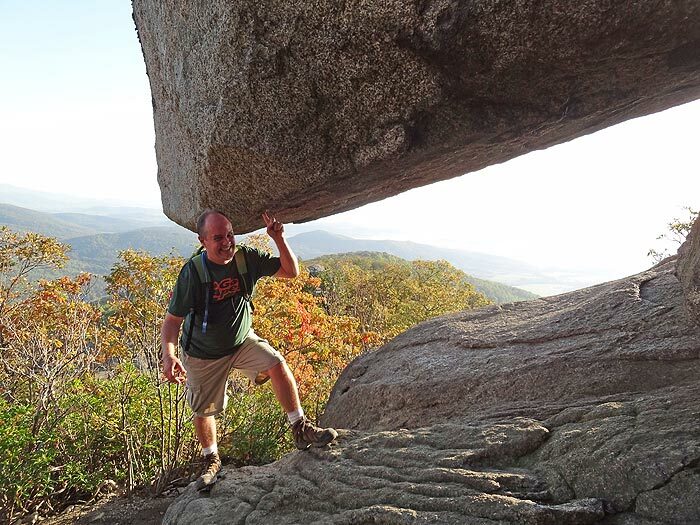 The Rock scramble is challenging and adventurous when hiking solo (I highly recommend going with someone). 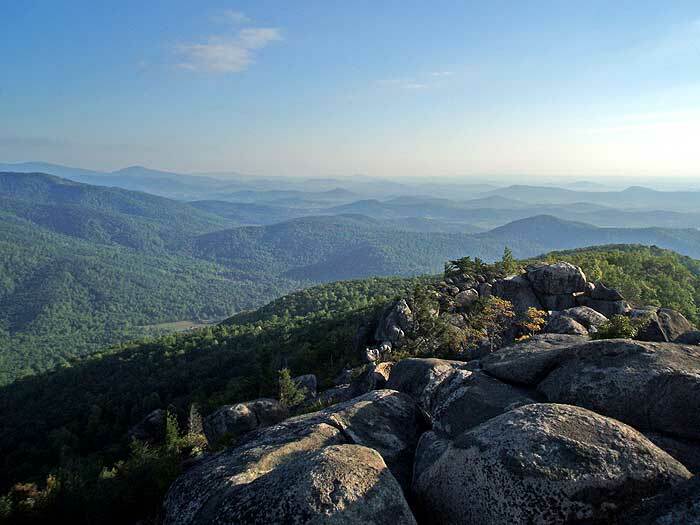 The views from many locations on the trail are simply amazing, and from the the top of Old Rag Mountain are breath taking and worth every step. I parked at the Berry Hollow Fire Road parking site, and was the only car in the lot when I started my hike at 0930 and returned to my car around 4pm. 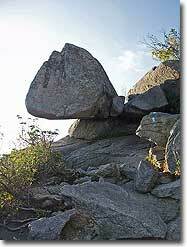 I had the time of my life out there hiking, it was so peaceful and enjoyable. I can't wait to do it again soon! 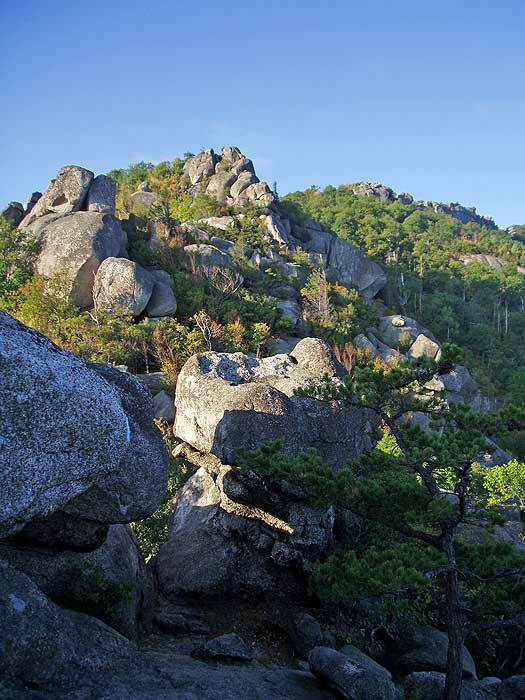 Old Rag is still an epic hike of roughly 9 miles in 4 sections: (1) a traditional Shenandoah hike up to just below the ridgeline, (2) the entrance to the ridgeline and its rock scrambles, (3) a traditional descent to the fire road, (4) the fire road. 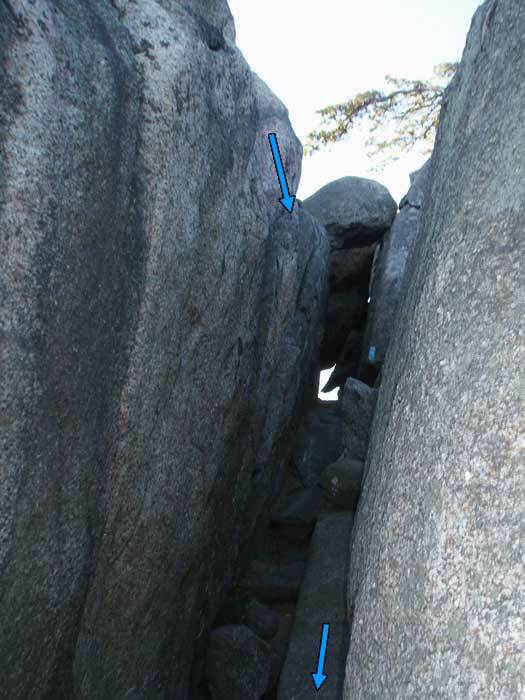 The entrance to the ridgeline has two somewhat tricky spots, which can back up if there are crowds: a keyhole, and a downclimb into a slot. 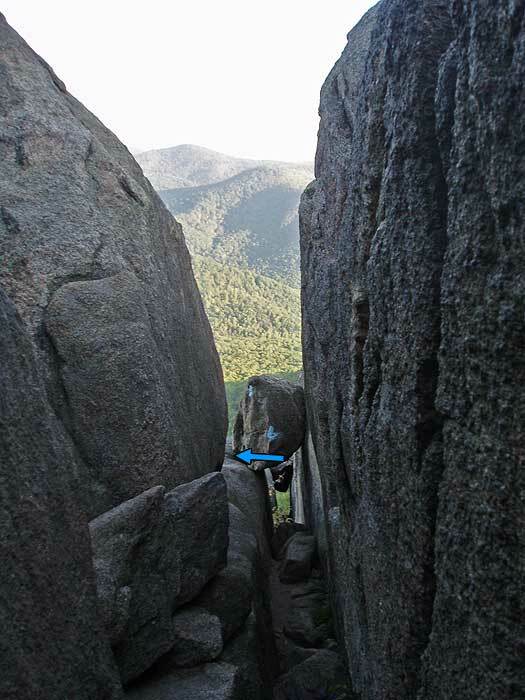 Once on the ridgeline, you can take different routes across the boulders if you are adventurous. The 2.5 miles along the fire road can be a bit of a slog if your feet are tired. The reason for my low rating is simply that Old Rag has become too popular. When I first started doing it many years ago, there were 5-10 cars in the parking lot. Now the parking lot has been moved to a field 3/4 of a mile down, and this past weekend, there were probably 500 cars when I started at 10 AM. If you expect to find some solitude and quiet, you will be disappointed. 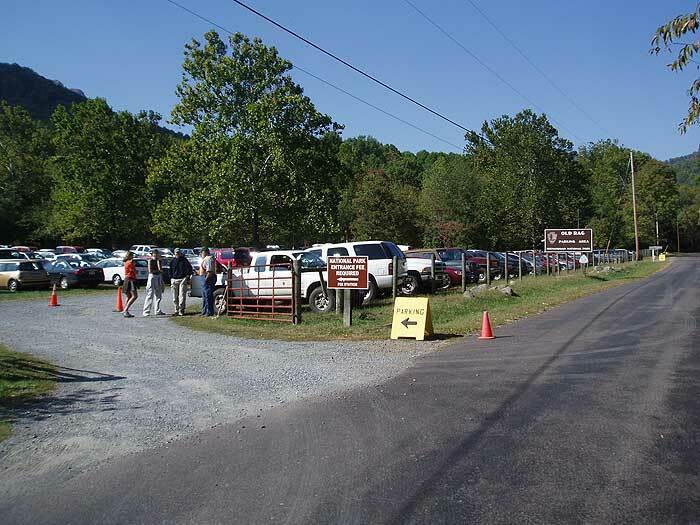 When the parking lot is full, there will be a lot of noise on the trail, many groups of people, and uneven trail etiquette: following too closely, faster groups passing then stopping before passing again, slower groups not yielding to faster groups, people stopping in the trail, big crowds at the overlooks and all along the ridgeline. If these sorts of things do not bother you, you will have a great time. 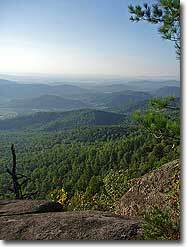 But if you would prefer to have a more serene experience, be aware that Old Rag can be very crowded on nice days on weekends and holidays. Great hike. 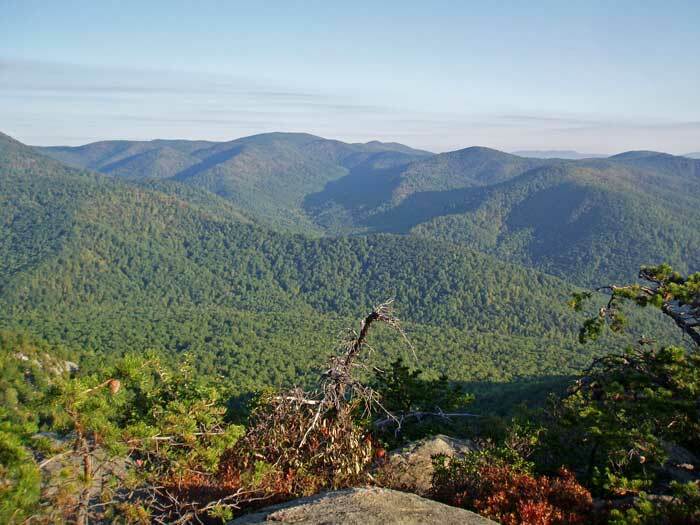 I'd been walking some 5 miles a day preparing for the hike but that did not prepare me enough for Old Rag - be prepared, this is not just a walk in the woods. That said, I had senior citizens as well as middle school field trips and families with young (not small) children zoom past me with no difficulty. I took my time, stopping often and made the summit. I went on a Thursday and it still seemed crowded - I can't imagine what it is like on a weekend - I was told it gets VERY crowded - there are waiting lines to get through parts. Everyone was great and helpful - lending a hand when I was stuck and giving me water when I realized one of my water bottles had fallen out of my pack. 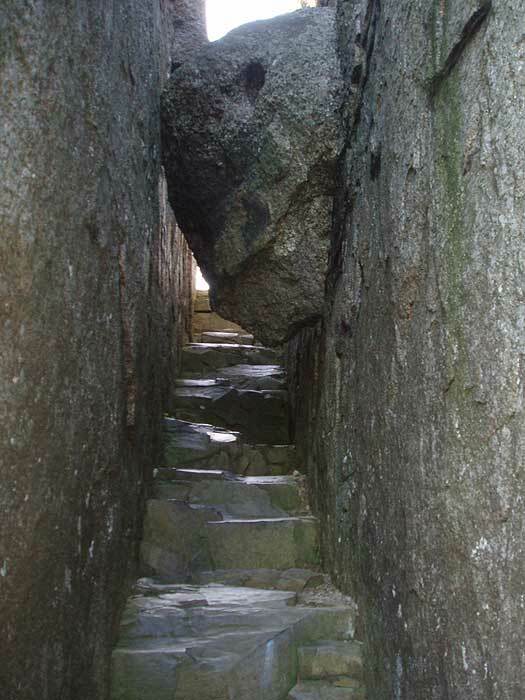 There are a lot of false summits (you think you are at the end and then you realize you have a lot more to go) and the rock scramble starts, stops, starts again ...... There is a lot more to this. Suggestions - be prepared and bring LOTS and LOTS of water. 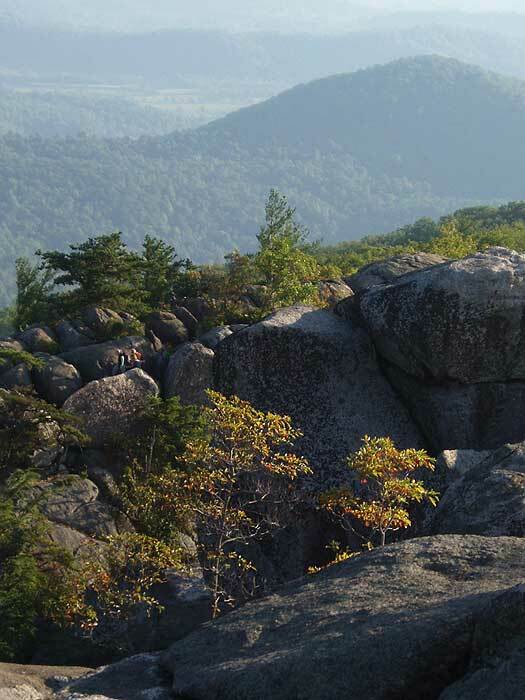 Before and after pictures of 'The Staircase' section on the Ridge Trail of Old Rag. 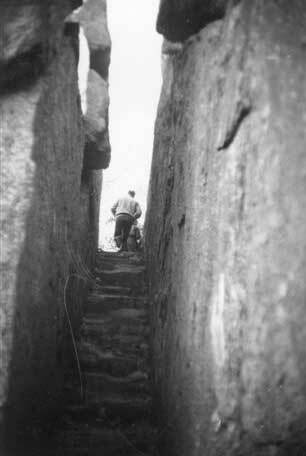 The 2 black and white photos were taken in 1968 prior to the boulder falling and partially blocking the route in the early 1970's, then as it appears today in the picture on the right.